[ is a weight management product, produced in Ireland by Solgar. The product is suitable for vegans and vegetarians and the Solgar Thermogenic marketing material says the eight ingredients used in the formulation can maximise weight loss and improve body composition. What is Solgar Thermogenic and How Does it Work? As the name suggests, Solgar Thermogenic is a thermogenic fat burner. Products that fall into this category are designed to speed up the metabolism and cause the user to burn more calories than normal. Thermogenic fat burners that work in the desired manner also have the ability to initiate a slight rise in the body’s core temperature and create an environment that is favorable for the fat burning process. Svetol (400mg): A patent-protected green coffee bean extract. Green coffee beans have foregone the roasting process, so they lack the deep, rich flavour that coffee drinkers the world over know and love. However, although they may be somewhat lacking in flavour, green coffee beans contain a compound called chlorogenic acid that is normally lost during the roasting process. Chlorogenic acid is good for regulating blood sugar levels and preventing cravings for sweet food, but is generally far more highly regarded for its ability to trigger thermogenic fat burning. Choline (25mg): A water-soluble nutrient. Choline’s ability to support weight loss has been scientifically proven and one study, conducted by researchers in Egypt, is particularly noteworthy. The study involved a group of 22 martial artists, all of them female. The women were given daily doses of choline for a period of one week. The data collected at the end of the study confirmed choline’s ability to support weight loss and the scientists concluded: “choline supplementation could rapidly reduce body mass without any side effects on biochemical levels or static strength”. L-Methionine (50mg): An amino acid that is found certain foods, including meat, fish, and dairy products. The body uses L-Methionine to produce proteins and peptides, but it has no known value as an aid to weight loss. However, L-Methionine is also required for the manufacture of creatine—a compound that improves the ratio of muscle to fat. Cayenne (50mg): A natural fat burner that speeds up the metabolism and may encourage the body to burn calories 10 times faster than normal. Cayenne also has the power to initiate thermogenic fat burning but, with an inclusion rate of just 50mg, the amount provided here is probably too low. Many supplements provide a dose of 450mg, up to three times per day. Green Tea 4:1 Extract (50mg): Green tea catechins (antioxidants) are renowned for their fat burning ability. The American Journal of Clinical Nutrition published the results of a study that proves green tea’s reputation for promoting weight loss is not unwarranted, but numerous other studies are equally supportive. Solgar have opted to use a 4:1 extract that has been concentrated to four times the normal potency, so the amount included here is the equivalent of 200mg of the standard ingredient. Inositol (25mg): A vitamin-like substance that is sometimes used to treat high cholesterol, autism, depression, and numerous other health problems. 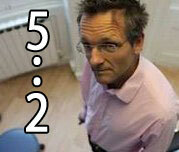 It is not generally associated with weight loss though, so the reason for its inclusion here is not clear. Black Pepper Extract (5mg): Black pepper extract is a common inclusion in supplements of all kinds because it improves the bioavailability of other ingredients and helps them to be absorbed more easily. Chromium (150mcg): A mineral that enhances insulin activity, improves blood glucose control, and may help dieters forgo the sugar cravings that can be so detrimental to any weight loss regimen. 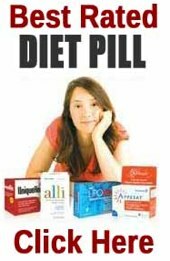 Usage Guidelines – Only two capsules are needed each day and, for best results, Solgar state the capsules should be taken with a meal. Solgar Thermogenic is not suitable for women who are pregnant or nursing a child. People who have existing medical conditions, or are taking medications, should check with their GP before they commence supplementation. Each bottle of Solgar Thermogenic contains 60 capsules and has a price tag of €29.36, when purchased from the company’s online store, but customers who live in Great Britain will probably find it less troublesome to pay £24.99 per bottle and order a supply of pills from Holland & Barrett. 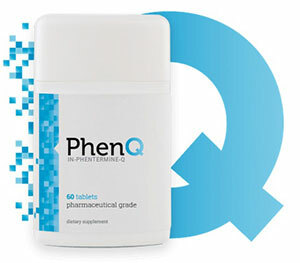 PhenQ is quickly becoming the fat burner of choice in many countries due largely to its multi action approach. PhenQ does not just act as a fat burner, it can also stop from being created and suppress and reduce hunger, which in term aids tremendously to calorie reduction. PhenQ is available without a prescription from it’s own official website and offers customer free shipping anywhere in the world and 2 month money back refund should it not live up to your expectation.